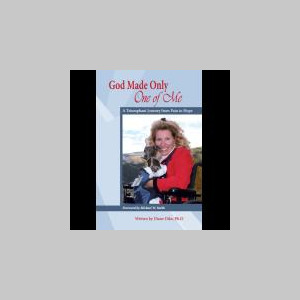 Meet Diane Dike, Ph.D. and her one of a kind Service Dog, Gracie & you will hear God speak directly to you, transforming your walk of faith forever. You will hear a message that will challenge you to overcome every challenge and learn how to stay strong and courageous no matter what! Diane Dike, Ph.D., the founder of SCwSG and the Eagle County National Day of Prayer coordinator is traveling the Nation challenging and motivating. Diane is an award winning author, speaker and singer. All age groups connect with Diane who knows what it is to be broken, homeless and hopeless. She was an elite athlete and coach but in her twenties, Diane was diagnosed with a painful, debilitating and incurable blood disease called cryoglobulinemia vasculitis. She was devastated and lost all that was important to her. Thinking she was better off dead than disabled she contemplated suicide. However, in the midst of her despair, Diane received the transforming love of Jesus. T hrough this experience she learned the secret to happiness and that God still has a purpose and plan for her life even if her body is broken. She is an expert in perseverance and overcoming seemingly insurmountable obstacles. The disease turned into a gift that allows her to captivate the corporate executive, the athlete, the coach, the prisoner... She is Satan's worst nightmare because she will not give up! She challenges us all to realize with God nothing is impossible and it's never too late to be all he created you to be. 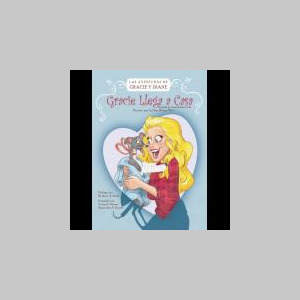 She's experienced terrible tragedy yet she prevails with her husband, God's love and her adorable rescued Italian Greyhound Service Dog, Gracie. Diane 's dedicated her remaining days to being a light in the darkness giving God all the glory. America’s best kept secret is sharing hope and encouragement everywhere she goes and will dare you to do the same. 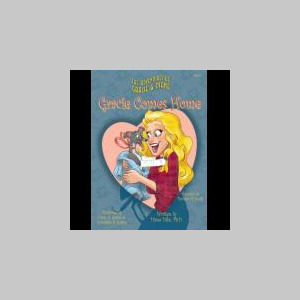 Please visit her web site: www.DianeDike.org to learn more about her inspiring ministry and influential books including, The Adventures of Gracie and Diane, series and God Made Only One of Me (foreword by Michael W. Smith). SCwSG is a on-profit 501c(3) organization that reaches out to the "least of these," including hurting people and animals wherever they may be found. There is a place for everyone to participate as SCwSG impacts the world by focusing on serving others, equipping, empowering and encouraging everyone to be all God created them to be. They visit schools, churches, children's hospitals, prisoners, civic organizations, wherever they are invited, delivering an inspiring message of Hope with Love Kits of Encouragement! Book(s) By Diane Dike, Ph.D.